I have been apart of organising 4 pole compeitions and my responsibility have been all from applications, judge booking, website building, social media updates, schedueling, manuscript for mc and so on. I love working with athletes and events like this. I see it as a thrill to be in it when it happens. Stay focused and making sure the staff at hand knows what they are doing. Brought Pole Theatre to Sweden for the the first Pole Theatre Scandinavia and helped my friend Aleksandra to organise the second Pole theatre Scandinavia in Oslo the fall of 2016. The third Pole Theatre Scandinavia was held in Stockholm may 2018 and together with Flow Pole Fitness and my own Event company Lumholdt Entertainment I was the sole organiser of the competition. 2014: Participated and won the Poledance category which i won the poledance Category. 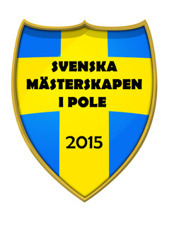 2015: Organiser apart of the Swedish pole federation. 2016/2017: Organiser apart of the Swedish pole federation. 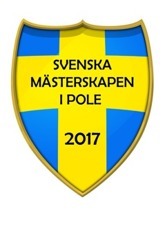 2018: Organiser apart of the Swedish Pole Federation. I have a cerification of a course in Aerial Safety & rigging in London July 2018.